Read more "Take this IELTS Quiz!" Read more "50 Topics to think about for the IELTS"
Should the IELTS be banned? Read more "Should the IELTS be banned?" Is grammar important in IELTS Listening and Reading? Read more "Is grammar important in IELTS Listening and Reading?" 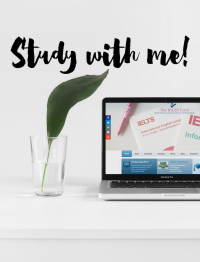 Read more "IELTS Listening – Complete a table"
Read more "IELTS and your handwriting"
Read more "4 Important Questions for IELTS Listening"
Should I do IELTS practice tests? Read more "Should I do IELTS practice tests?" Read more "5 steps to improve your IELTS Listening"